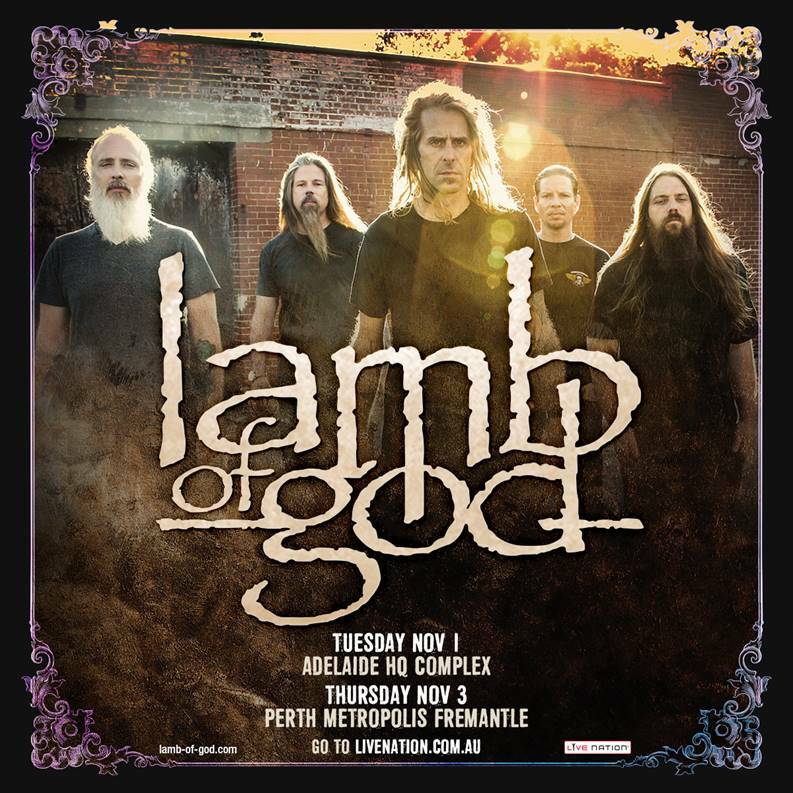 ​Already heading to Australia as special guests to Slipknot, Lamb of God will extend their tour, tearing into Adelaide and Perth for two special club shows. Lamb of God has been blazing mercilessly away at the forefront of heavy music for the last 15 years, upholding metal’s intrinsic values of honesty, intensity and creativity while also daring to push boundaries and think outside the heavy box. Exploding into view with 2000’s seminal debut New American Gospel, the Virginian quintet inadvertently kick-started the so-called 'New Wave Of American Metal' at the dawn of the 21st century; and has notched up a succession of huge commercial hit albums and remorselessly toured the globe ever since. Lamb of God’s most recent album VII: Sturm und Drang charted at #2 on the ARIA chart being the band’s highest ever Australian chart debut.